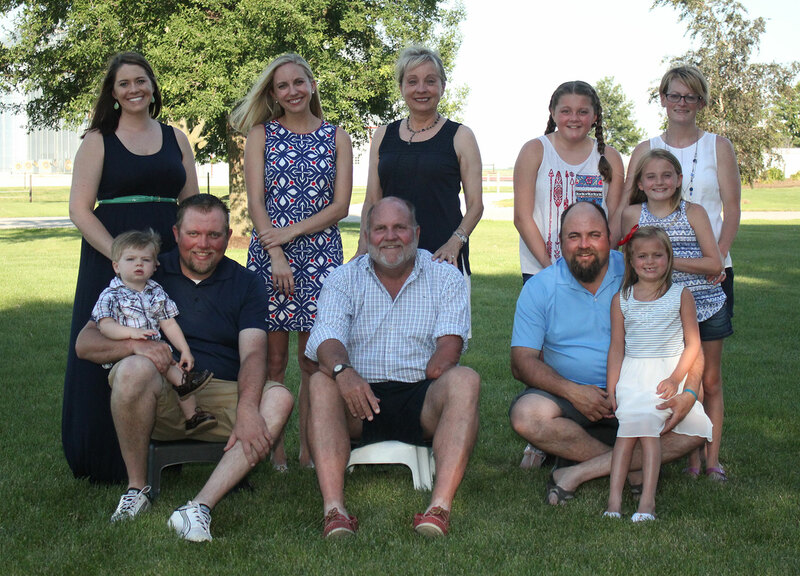 Klein Farms is operating under the fourth and fifth generations on the farm, with occasional help from the sixth generation. Farming is a demanding occupation that keeps us busy year-round, but we believe it is always important to stop and remember the generations that came before us. We appreciate their vision for agriculture as a way of life and their dedication to the family farm. It is our hope that future generations can say the same about us. In 1868, Peter Klein and his eventual wife emigrated from Germany and purchased the original 200-acre farmstead. By the time he retired in 1890, he had increased his farm size to 340 acres, raised seven children and even sent some to college, which was very rare in those days. Bill and Deb Klein, the fourth generation, continue to enhance and grow the farm by using the strengths and talents of each family member involved in the operation. Education has remained important to our family, with the last three generations all attending college. The fifth generation includes son Paul Klein, who returned to the farm after graduating from Southern Illinois University. He and his wife, Jackie, have lots of help on the farm with their three energetic girls Addison, Ellen and Margaret. Son Joe Klein also returned to the farm after graduating from University of Illinois. He and his wife, Kasey, enjoy raising their children, Benjamin and Elizabeth, and love to watch them to take part in farm life as well. Deb, Jackie and Kasey also work together to complete all farm accounting in-house. This in no way mentions everyone’s families or their contributions to our farmstead. Today, Klein Farms not only represents the Klein family, but a long line of Irish and German ancestors, and is a collection of many extended families involved in various ways. Several extended family members have maintained their land ownership, contributing to the loyalty and success of the farm with their partnerships. We currently operate with six full-time employees and numerous part-time and seasonal help. Over the years, our employees have become like family. Klein Farms operates at its best because we have dedicated personnel who truly care about the farm.